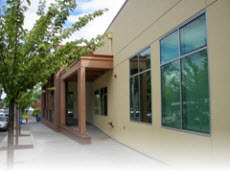 The staff at the Forest Grove City Library have launched a monthly e-newsletter, Grove Reads, full of staff reading recommendations and information on upcoming library events. Take a look! You can sign up to have this newsletter delivered to your email inbox here. Look for Forest Grove on the list, check the box, and then scroll to the bottom to enter your email address and submit. We're looking forward to seeing the reading suggestions and events that Forest Grove staff are offering! While you're at the online sign-up page, take a look at the other great newsletters available. Hundreds of people already subscribe to get new book lists in the areas of fiction, nonfiction, mystery, business, science, and more. These newsletters make it easy to place a hold - each book has a link directly to the WCCLS catalog. Enjoy good reading suggestions coming right to your inbox!